Remember how I mentioned that Shadow Warrior is super bloody and gorey? In this game, you clean up the mess you made. You're basically given a mop and some rubber gloves and told to go to town. 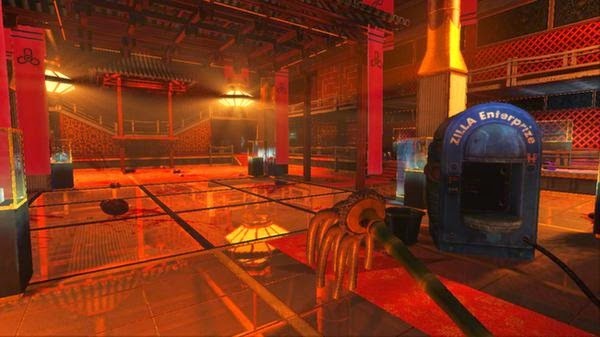 It's set in the same location as Shadow Warrior after all the action has taken place. Someone has to clean it up and it's you. It's a really weird game. I was oddly fascinated for about 5 minutes, then it was just gross. There's no way I can recommend this one. 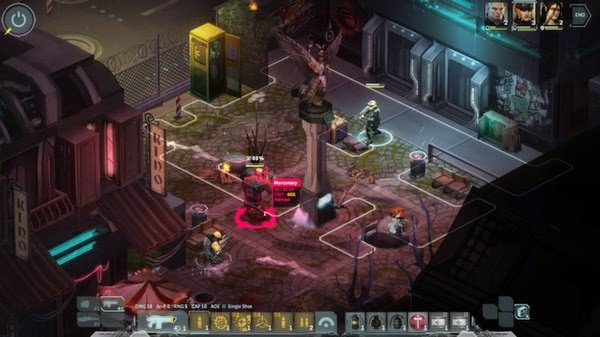 I kickstarted Shadowrun Returns and when it finally came out I was disappointed with it. The pacing was too slow and there wasn't the ability to save anywhere. Those are two things that will absolutely kill a game for me. Shadowrun: Dragonfall is the stand-alone expansion to Shadowrun Returns and I got it for free because I was a backer. It seems to have fixed my main complaints about Shadowrun Returns. Shadowrun: Dragonfall kicks off with a heist mission that doesn't have a giant hand-holding tutorial attached to it. The pacing is good. In the middle of the intro mission I had to stop and help my daughter with something. I was pleasantly surprised to find a save anywhere option in the menu! Another game I helped kickstart. I'm surprised I had so many of these sitting in my Steam account unplayed. Wasteland was the spirtitual precursor to Fallout and this is the sequel to the original Wasteland. Wasteland 2 is built on a solid engine and has a lot going on under the hood. I can tell the systems are complex and interesting. Although, after playing it for a little bit I didn't want to continue. I think my problem is with the setting. I don't want to be in a desert wasteland right now. I've played games in that setting way too often. It's not a bad game, but it's not what I want to be playing right now. Maybe another time.